The Gangwon provincial government said Monday it plans to hold a variety of events to mark the first anniversary of the 2018 PyeongChang Winter Olympics and Paralympics next month. “‘Again PyeongChang’ will take place across the province from Feb. 7-17,” a government official said. 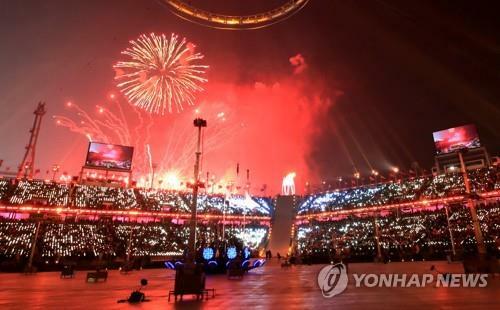 The ceremony celebrating the anniversary will occur at the main Olympic stadium in PyeongChang on Feb. 9, with cultural performances and a massive K-pop concert at the Ice Arena in Gangneung later that day. Inter-Korean joint events are also under consideration, the official said, recalling the inter-Korean joint marches at the opening and closing ceremonies of the PyeongChang Olympics and the unified women’ ice hockey team. Celebratory events will also be held in other provincial towns, including Jeongseon, Cheorwon and Goseong. Meanwhile, there has been criticism over the expenditure of 10.8 billion won (US$9.61 million) for the one-time events.